Wino 4 Life: Wine Tip of the Week - Vow to be Soap-Free! Once you've invested in some nice stemware to enjoy your wines of choice, you want to make sure that nothing gets in the way of the wines aromas and flavors. Some dish soaps and dishwasher soaps can leave behind a soap residue that could potentially impact the wine. I am old enough to remember the Madge Palmolive commercials - and although good enough for a manicure according to Madge, you don't want your wine glasses "soaking in it". Also, crystal wine glasses may be too fragile for the dishwasher, and really need to be hand washed. A little more work, but worth the effort to ensure you enjoy your wine at its best. You do need to wash your stemware, so what do you use? 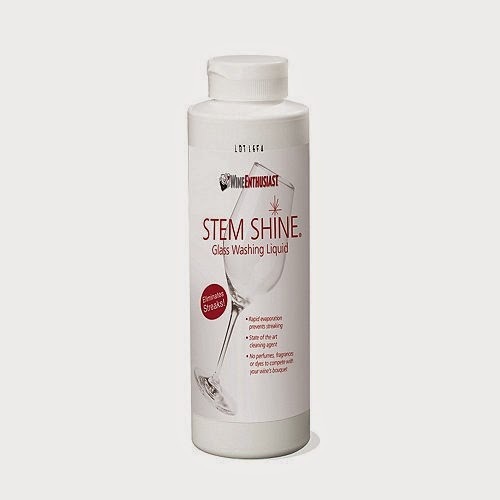 There are several brands, but I've had good luck with Stem Shine. It can be a bit pricey, but just a drop can clean several wine glasses. Also, a cleaning brush that you use just for stemware is important to make sure no other soap gets on your wine glasses. You may need a larger brush for red wine glasses, and a small slender brush for white wine glasses. Remember those sparkling wine flutes when picking out a smaller brush. I use oxygen bleach. 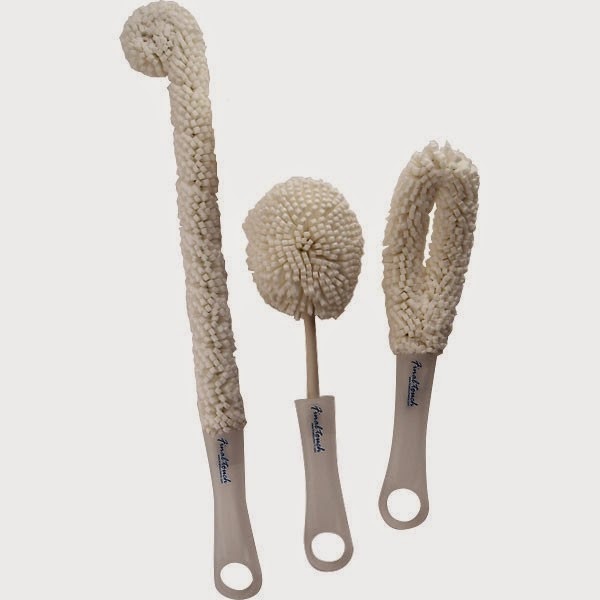 OxyClean is not just for clothes. Make sure it is unscented and you are good to go.